The thought might be scary to some, but for others they are ready. Applying to college is a big deal. It’s a new chapter in a person’s life, it’s where they will call “home” for the duration of their collegiate career, and for most, the first time they leave home. It’s a big task to handle, and many questions may arise, but I have included some tips that I’ve developed on how to handle the application process. DON’T put it off! You will have to apply to college at some point in the next year (if you are a senior and want to go). If you wait until the month before, you will be stressed to meet the deadlines, you won’t be able to put the amount of time needed into it, and it could end up not portraying your full potential. But with an adequate amount of time, your application can allow you to get into that dream school. I recommend to start applying to schools around the time you start school again. That way you have plenty of time and you can take a couple of weeks if not a month to apply to a school. MAKE a list! Don’t make a list of colleges you want to apply to (though that is helpful), but of what you have done in high school. It may even help to sit down with an adult to write up a résumé, that way you have it for the future. But if you don’t want to do that, then just write down everything you have participated in, that way when they ask about it on the application you have the list to look back on. It will save you A LOT of time when you start applying and you won’t miss anything! ASK early! 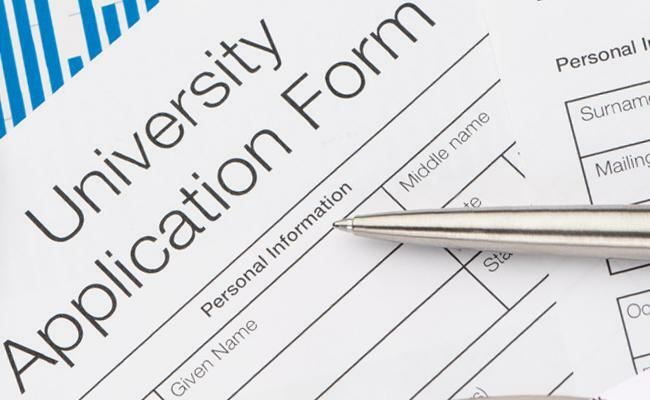 Many colleges will require that you have at least one reference letter. This may be the hardest part for you to get. If you wait too long to ask a teacher to write it, then they may not have enough time. If you ask within the first month or two or school, and tell them that you don’t need it until late November (or whenever), then they can take their time and write a letter that explains to the reader who you truly are. I hope these tips lead you in the right direction during your application process! Enjoy the rest of summer, and seniors, HAPPY APPLYING! I’m an outgoing high school student, who enjoys playing volleyball, volunteering, reading, and spending time outdoors.